Welcome! Here you will find different places to connect with Project Directors. Check back often as this resource is continually updated. TAACCCT Project Directors, Grantees, Managers, and Instructional Designers share and discuss program & project development, DOL requirements, and find out about OPEN Partner services. 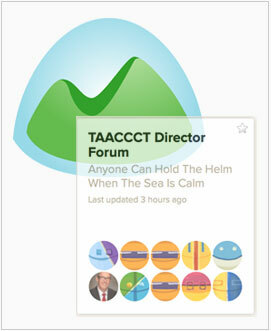 To Join: Go to OPEN for TAACCCT and submit a request to join. Closed community for Project Directors. 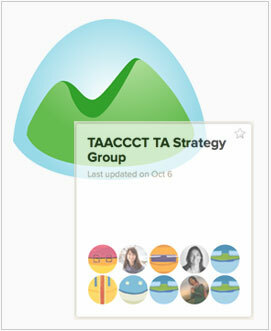 This community uses Basecamp to share ideas, gather feedback, collaborate and track progress. This is a forum where project directors discuss, share files, and keep track of to-do lists. Closed community for the Technical Assistance Group. 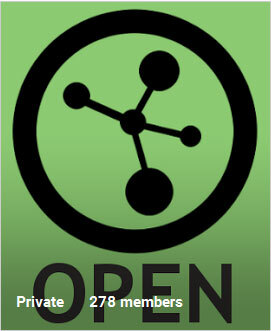 This community uses Basecamp.